APPROVAZIONE REGOLAMENTO RELATIVO ALLA DEFINIZIONE AGEVOLATA DELLE CONTROVERSIE TRIBUTARIE, AI SENSI DELL’ART. 11 DEL DECRETO LEGGE N. 50 DEL 2017. APPROVAZIONE VERBALI DI PRECEDENTI SEDUTE CONSILIARI (13/07/2017 – 27/07/2017). COMUNICAZIONI DEL PRESIDENTE DEL CONSIGLIO COMUNALE – COMUNICAZIONI DEI PRESIDENTI DELLE COMMISSIONI CONSILIARI. INTERROGAZIONE DEL CONSIGLIERE DEL GRUPPO SENA CIVITAS PIETRO STADERINI IN MERITO ALLA SISTEMAZIONE E MANUTENZIONE DELLA FONTE DELLE CANNELLE O DELLE STAGIONI NEI PRESSI DI COSTAFABBRI. INTERROGAZIONE DEL CONSIGLIERE DEL GRUPPO SENA CIVITAS PIETRO STADERINI IN MERITO ALL’ATTIVITA’ DI CUSTODIA DEL CAMPO SCUOLA DI VIALE AVIGNONE. INTERROGAZIONE DEL CONSIGLIERE DEL GRUPPO SENA CIVITAS PIETRO STADERINI IN MERITO AI PERMESSI PER LA ZTL E LE ARU. INTERROGAZIONE DEL CONSIGLIERE DEL GRUPPO SENA CIVITAS PIETRO STADERINI IN MERITO LA CONVENZIONE TRA IL COMUNE DI SIENA OPERA METROPOLITANA E OPERA LABORATORI FIORENTINI PER LA REALIZZAZIONE DELLA BIGLIETTERIA CENTRALIZZATA ALL’INTERNO DEL SANTA MARIA DELLA SCALA. INTERROGAZIONE DEL CONSIGLIERE DEL GRUPPO SENA CIVITAS PIETRO STADERINI IN MERITO ALLA SISTEMAZIONE A BITUME DI VIA DELLA PACE NELLA ZONA INDUSTRIALE DI RENACCIO. INTERROGAZIONE DEL CONSIGLIERE DEL GRUPPO SENA CIVITAS PIETRO STADERINI IN MERITO ALLA VIA CADUTI DI VICOBELLO. INTERROGAZIONE DEL CONSIGLIERE DEL GRUPPO SENA CIVITAS PIETRO STADERINI IN MERITO ALLA SISTEMAZIONE DEL MARCIAPIEDE DI VIALE AVIGNONE, TRATTO COMPRESO TRA I DUE INGRESSI DELLA SCUOLA ELEMENTARE B. PERUZZI. INTERROGAZIONE DEI CONSIGLIERI DEI GRUPPI MOVIMENTO CIVICO SENESE GIUSEPPE GIORDANO, SINISTRA PER SIENA, RC, SSM ERNESTO CAMPANINI IN MERITO ALLO STATO DI AGITAZIONE DEI MEDICI DEL SETTORE DELL’EMERGENZA SANITARIA CONSEGUENTE ALLA RIORGANIZZAZIONE DEL SERVIZIO. INTERROGAZIONE DEI CONSIGLIERI DEI GRUPPI MOVIMENTO CIVICO SENESE GIUSEPPE GIORDANO, SINISTRA PER SIENA, RC, SSM ERNESTO CAMPANINI IN MERITO ALLA RAZIONALIZZAZIONE DEI CONSUMI DI ACQUA POTABILE. INTERROGAZIONE DEI CONSIGLIERI DEI GRUPPI IMPEGNO PER SIENA MARCO FALORNI, L’ALTERNATIVA ANDREA CORSI, MASSIMO BIANCHINI IN MERITO A DEPOTENZIAMENTO DELL’EMERGENZA SANITARIA TERRITORIALE 118 ASL SUDEST. INTERROGAZIONE DEL CONSIGLIERE DEL GRUPPO SIENA 5 STELLE MICHELE PINASSI IN MERITO ALLA POSSIBILITA’ DI ACCESSO DEGLI ANIMALI D’AFFEZIONE SUI BUS DEL TRASPORTO PUBBLICO URBANO DEL COMUNE DI SIENA. INTERROGAZIONE DEI CONSIGLIERI DEI GRUPPI MOVIMENTO CIVICO SENESE GIUSEPPE GIORDANO, SINISTRA PER SIENA RC, SSM ERNESTO CAMPANINI IN MERITO ALLE DIMISSIONI DAL SERVIZIO DEI VIGILI URBANI ASSUNTI A TEMPO DETERMINATO. INTERROGAZIONE DEL CONSIGLIERE DEL GRUPPO SENA CIVITAS PIETRO STADERINI IN MERITO AI LAVORI AL CAMPO SPORTIVO BERTONI DELL’ACQUA CALDA. INTERROGAZIONE DEI CONSIGLIERI DEL GRUPPO PARTITO DEMOCRATICO MASSIMILIANO BRUTTINI, CAROLINA PERSI IN MERITO AL RIPRISTINO DELLA VIABILITA’ IN STRADA DI SCACCIAPENSIERI. INTERROGAZIONE DEI CONSIGLIERI DEL GRUPPO PARTITO DEMOCRATICO MASSIMILIANO BRUTTINI, CAROLINA PERSI IN MERITO ALL’AFFLUSSO TURISTICO A MEZZO PULLMAN. INTERROGAZIONE DEL CONSIGLIERE DEL GRUPPO SIENA 5 STELLE MICHELE PINASSI IN MERITO ALLA QUALITA’ DELL’ACQUA POTABILE A SIENA. INTERROGAZIONE DEL CONSIGLIERE DEL GRUPPO SENA CIVITAS PIETRO STADERINI IN MERITO ALLA MANUTENZIONE DEI PINI MARITTIMI IN VIA CARLO PISACANE NELLA COLLINETTA CON LE ABITAZIONI DELL’ESERCITO. INTERROGAZIONE DEI CONSIGLIERI DEL GRUPPO PARTITO DEMOCRATICO MASSIMILIANO BRUTTINI, SIMONE VIGNI IN MERITO AL PROGETTO “MOBISI” – STUDIO DI FATTIBILITA’ PER UN MODELLO DI DISTRIBUZIONE DELLE MERCI. INTERROGAZIONE DEI CONSIGLIERI DEL GRUPPO PARTITO DEMOCRATICO MASSIMILIANO BRUTTINI, GIANNI PORCELLOTTI IN MERITO AL CONTENIMENTO E CONTROLLO DEL NUMERO DEI COLOMBI E PRESENZA DI TOPI NEL CENTRO URBANO. INTERROGAZIONE DEL CONSIGLIERE DEL GRUPPO SIENA 5 STELLE MICHELE PINASSI IN MERITO AL PREMIO OPENGOV CHAMPION. INTERROGAZIONE DEI CONSIGLIERI DEI GRUPPI MOVIMENTO CIVICO SENESE GIUSEPPE GIORDANO, SINISTRA PER SIENA RC, SSM ERNESTO CAMPANINI IN MERITO ALLA VISIONE DEL PROTOCOLLO INFORMATICO DA PARTE DEI CONSIGLIERI COMUNALI. INTERROGAZIONE DEL CONSIGLIERE DEL GRUPPO SENA CIVITAS PIETRO STADERINI IN MERITO ALLA FERMATA DEI PULMAN IN VIA MACCARI. INTERROGAZIONE DEL CONSIGLIERE DEL GRUPPO SENA CIVITAS PIETRO STADERINI IN MERITO ALLA RACCOLTA DIFFERENZIATA. INTERROGAZIONE DEL CONSIGLIERE DEL GRUPPO SENA CIVITAS PIETRO STADERINI IN MERITO ALLA PAVIMENTAZIONE DEL PARCHEGGIO DELL’EX CAMPINO DI SAN PROSPERO. INTERROGAZIONE DEI CONSIGLIERI DEL GRUPPO PARTITO DEMOCRATICO STEFANIA BUFALINI, GIANNI PORCELLOTTI, FEDERICO NESI IN MERITO AI VISITATORI MOSTRA COLLEZIONE SALINI MAGAZZINI DEL SALE DI SIENA 15 GIUGNO/15 SETTEMBRE 2017. INTERROGAZIONE DEI CONSIGLIERI DEL GRUPPO PARTITO DEMOCRATICO RITA PETTI, GIULIA PERICCIOLI, SIMONE VIGNI IN MERITO AI RITARDI DELL’AMMINISTRAZIONE NEGLI ADEMPIMENTI NECESSARI PER L’ACCREDITAMENTO E IL POTENZIAMENTO DEI MUSEI COMUNALI. 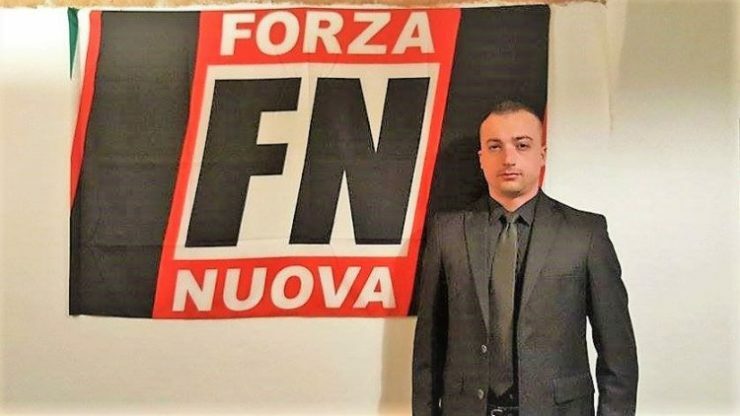 INTERROGAZIONE DEL CONSIGLIERE DEL GRUPPO SIENA 5 STELLE MICHELE PINASSI IN MERITO ALLA STABILITA’ DEL PONTE DELLA FERROVIA PRESSO TAVERNE D’ARBIA A SEGUITO DEI LAVORI DEL CONSORZIO DI BONIFICA. INTERROGAZIONE DEL CONSIGLIERE DEL GRUPPO SIENA 5 STELLE MICHELE PINASSI IN MERITO ALL’EMERGENZA IDRICA ATTUALMENTE IN ESSERE. INTERROGAZIONE DEI CONSIGLIERI DEL GRUPPO PARTITO DEMOCRATICO SIMONE VIGNI, GIULIA PERICCIOLI IN MERITO ALLA CELEBRAZIONE DELLE UNIONI CIVILI. INTERROGAZIONE DEI CONSIGLIERI DEL GRUPPO PARTITO DEMOCRATICO GIANNI PORCELLOTTI, STEFANIA BUFALINI, FEDERICO NESI IN MERITO AI VISITATORI CANTIERE MAESTA’ DI SIMONE MARTINI PALAZZO PUBBLICO 10 GIUGNO/10 SETTEMBRE 2017. INTERROGAZIONE DEL CONSIGLIERE DEL GRUPPO SENA CIVITAS PIETRO STADERINI IN MERITO ALLA PERICOLOSITA’ DEL TRAFFICO PESANTE DI PASSAGGIO SULLA STRADA CASSIA SUD. INTERROGAZIONE DEL CONSIGLIERE DEL GRUPPO PARTITO DEMOCRATICO MASSIMILIANO BRUTTINI IN MERITO AI LAVORI DA EFFETTUARE PER LA REGIMAZIONE DELLE ACQUE BIANCHE IN STRADA DELLE ROPOLE A TAVERNE D’ARBIA. INTERROGAZIONE DEL CONSIGLIERE DEL GRUPPO PARTITO DEMOCRATICO MASSIMILIANO BRUTTINI IN MERITO AL REGOLAMENTO DI POLIZIA MUNICIPALE. INTERROGAZIONE DEI CONSIGLIERI DEI GRUPPI MOVIMENTO CIVICO SENESE GIUSEPPE GIORDANO, SINISTRA PER SIENA RC, SSM ERNESTO CAMPANINI IN MERITO ALLE MODALITA’ E TEMPISTICA RELATIVE ALLA RACCOLTA DEI RIFIUTI. INTERROGAZIONE DEI CONSIGLIERI DEI GRUPPI MOVIMENTO CIVICO SENESE GIUSEPPE GIORDANO, SINISTRA PER SIENA RC, SSM ERNESTO CAMPANINI IN MERITO ALLA DIGITALIZZAZIONE DELLA PA ED IL PORTALE DEI SERVIZI ONLINE. INTERROGAZIONE DEL CONSIGLIERE DEL GRUPPO SENA CIVITAS PIETRO STADERINI IN MERITO ALL’INCENDIO AVVENUTO SULLA TORRE DEL MANGIA LA NOTTE DEL 16 AGOSTO 2017. MOZIONE DEI CONSIGLIERI DEI GRUPPI SIENA 5 STELLE MAURO AURIGI, MICHELE PINASSI, CITTADINI DI SIENA ENZO DE RISI IN MERITO ALLA FONDAZIONE MPS. MOZIONE DEI CONSIGLIERI DEI GRUPPI MOVIMENTO CIVICO SENESE GIUSEPPE GIORDANO, SINISTRA PER SIENA, RC, SSM ERNESTO CAMPANINI PER L’ADESIONE DEL COMUNE DI SIENA ALLA SETTIMANA EUROPEA PER LA RIDUZIONE DEI RIFIUTI 2017. MOZIONE DEI CONSIGLIERI DEL GRUPPO PARTITO DEMOCRATICO CAROLINA PERSI, SIMONE VIGNI, GIULIA PERICCIOLI, MASSIMILIANO BRUTTINI, STEFANIA BUFALINI, GIANNI GUAZZI, GIANNI PORCELLOTTI, IVANO DA FRASSINI, RITA PETTI IN MERITO AL PROSSIMO PROGRAMMA TRIENNALE DEL FABBISOGNO DI PERSONALE 2017-2019, AL PIANO ANNUALE DELLE ASSUNZIONI PER L’ESERCIZIO 2017 E ALLA NUOVA DOTAZIONE ORGANICA. MOZIONE DEI CONSIGLIERI DEL GRUPPO SIENA CAMBIA FABIO ZACCHEI, LORENZO DI RENZONE, PASQUALINO CAPPELLI IN MERITO ALLA NOMINA DEL NUOVO DIRETTORE SANITARIO DELL’AZIENDA OSPEDALIERA UNIVERSITARIA SENESE E ALLE STRATEGIE DA APPORTARE PER IL MANTENIMENTO E LO SVILUPPO DEL POLICLINICO LE SCOTTE. 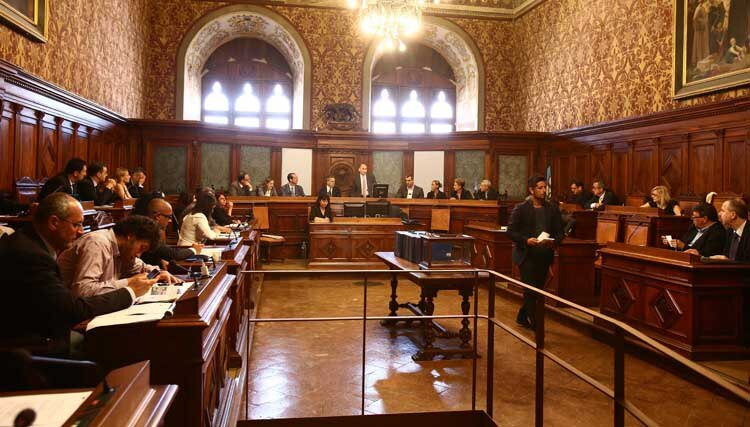 MOZIONE DEL CONSIGLIERE DEL GRUPPO PARTITO DEMOCRATICO MASSIMILIANO BRUTTINI IN MERITO A “CONTENIMENTO DELLA PRESENZA DI UNGULATI NELLE IMMEDIATE VICINANZE DEL CENTRO ABITATO. FACILITAZIONI A FAVORE DEI PROPRIETARI TERRIERI INTERESSATI”. MOZIONE DEI CONSIGLIERI DEI GRUPPI SINISTRA PER SIENA RC, SSM, ERNESTO CAMPANINI, MOVIMENTO CIVICO SENESE GIUSEPPE GIORDANO IN MERITO ALL’INCENTIVAZIONE NASCITA LOCALI NOTTURNI IN ALCUNE ZONE PERIFERICHE. MOZIONE DEI CONSIGLIERI DEL GRUPPO SIENA 5 STELLE MAURO AURIGI, MICHELE PINASSI IN MERITO AL CONTENIMENTO DELL’INFESTAZIONE DI EDERA. MOZIONE DEI CONSIGLIERI DEI GRUPPI SIENA FUTURA MAURO MARZUCCHI, RIFORMISTI SIMONE LORENZETTI IN MERITO ALLA IMPOSTAZIONE ACCENTRATRICE REGIONALE DEI SERVIZI E AGLI SQUILIBRI DEL SISTEMA ELETTIVO TERRITORIALE. MOZIONE DEL CONSIGLIERE DEL GRUPPO SENA CIVITAS PIETRO STADERINI IN MERITO L’ISOLA ECOLOGICA PRESENTE IN VIALE g. mAMELI, DAVANTI AL NUMERO CIVICO 25, NEI PRESSI DEL SUPERMERCATO CONAD. MOZIONE DEL CONSIGLIERE DEL GRUPPO SENA CIVITAS PIETRO STADERINI IN MERITO L’ISTITUZIONE DELLE TARIFFE ORARIE PER L’ACCESSO ALLE PISCINE COMUNALI. MOZIONE DEI CONSIGLIERI DEL GRUPPO SIENA 5 STELLE MICHELE PINASSI, MAURO AURIGI PER IMPEGNARE L’AMMINISTRAZIONE DI SIENA A MIGRARE LE POSTAZIONI INFORMATICHE NON SPECIALISTICHE A SOFTWARE LIBERO. MOZIONE DEI CONSIGLIERI DEL GRUPPO SIENA 5 STELLE MICHELE PINASSI, MAURO AURIGI PER IMPEGNARE L’AMMINISTRAZIONE DI SIENA A IMPEDIRE LA CEMENTIFICAZIONE DEI TORRENTI CREVOLE E CREVOLICCHIO. MOZIONE DEI CONSIGLIERI DEI GRUPPI SINISTRA PER SIENA RC, SSM ERNESTO CAMPANINI, MOVIMENTO CIVICO SENESE GIUSEPPE GIORDANO IN MERITO AL TRATTATO DI LIBERO SCAMBIO CETA. MOZIONE DEI CONSIGLIERI DEI GRUPPI MOVIMENTO CIVICO SENESE GIUSEPPE GIORDANO, GRUPPO CONSILIARE LAURA SABATINI E ALESSANDRO TRAPASSI, LAURA SABATINI, ALESSANDRO TRAPASSI, SENA CIVITAS PIETRO STADERINI IN MERITO ALLA ISTITUZIONE DEL CD “BARATTO SOCIALE”. 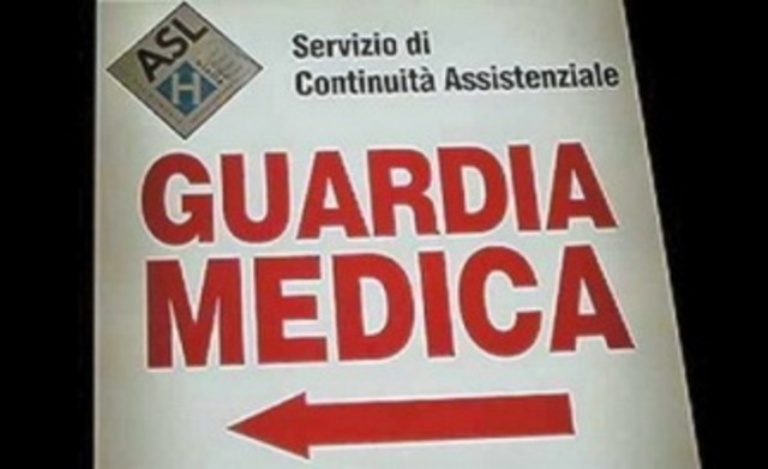 MOZIONE DEI CONSIGLIERI DEL GRUPPO PARTITO DEMOCRATICO GIANNI GUAZZI, RITA PETTI, KATIA LEOLINI, SIMONE VIGNI, GIULIA PERICCIOLI, MASSIMILIANO BRUTTINI, FEDERICO NESI, STEFANIA BUFALINI, GIANNI PORCELLOTTI IN MERITO ALLA RIORGANIZZAZIONE DELL’EMERGENZA SANITARIA TERRITORIALE 118 ASL SUD EST TOSCANA. MOZIONE DEI CONSIGLIERI DEI GRUPPI RIFORMISTI SIMONE LORENZETTI, PARTITO DEMOCRATICO GIANNI PORCELLOTTI IN MERITO ALLA VIABILITA’ IN ZONA CIRCOSTANTE LA PORTA DI OVILE E RIPRISTINO DEL DOPPIO SENSO DI CIRCOLAZIONE DI VIA BECCAFUMI. MOZIONE DEL CONSIGLIERE DEL GRUPPO SENA CIVITAS PIETRO STADERINI IN MERITO ALL’AMPLIAMENTO DEGLI ORARI DI APERTURA DEL CAMPO SCUOLA DI VIALE AVIGNONE.